This versatile product can be used in the direct repair of gutters, roofs, chimney stacks, pipes and more. 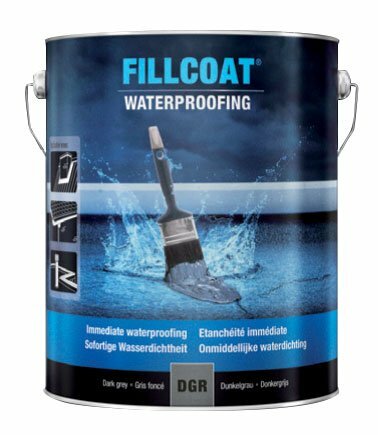 FILLCOAT® Original formula without fibres. 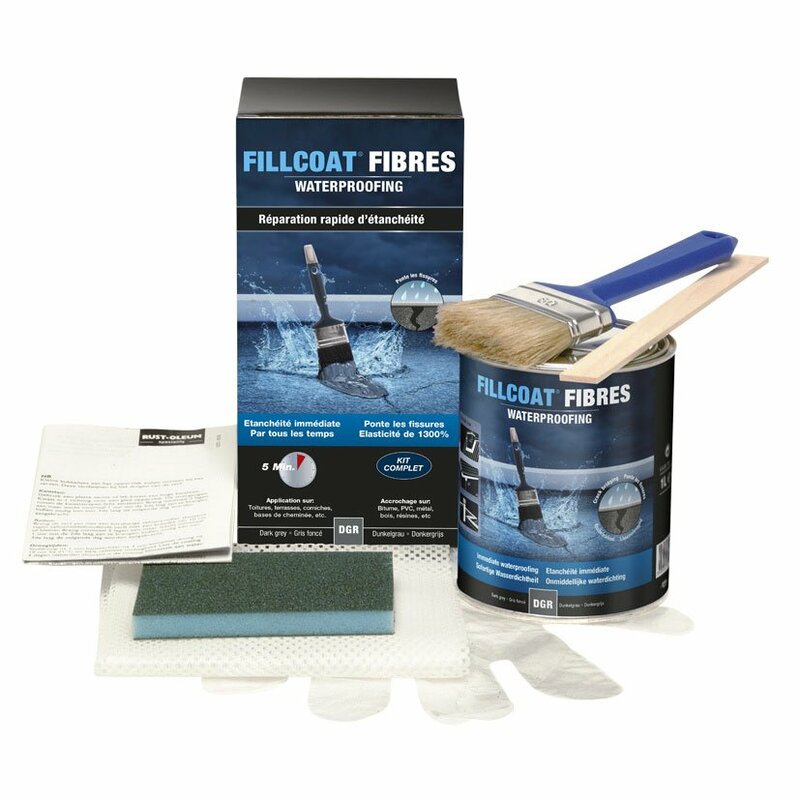 FILLCOAT® FIBRES with crack binding fibres. Everything you need in one convenient kit. 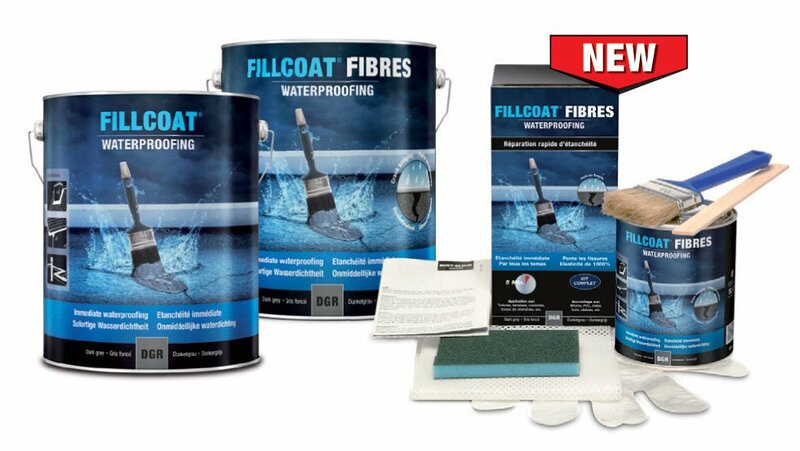 Instantly waterproof elastic paint with crack-bridging fibres for roofs, non-walkable terraces, gutters, ridge-pieces, chimney stacks, pipes, etc. Waterproof finish of roofs, non-walkable terraces, gutters, ridge-pieces, chimney stacks, pipes, etc. Product is recoatable with Dacfill, Coating PRT or Dacfill HZ. Practical coverage depends on many factors such as porosity and roughness of the substrateand material losses during application. Remove dust, mud, grease, moss and withered leaves carefully. The spots to be repaired are cleaned with a hard broom and sponged. 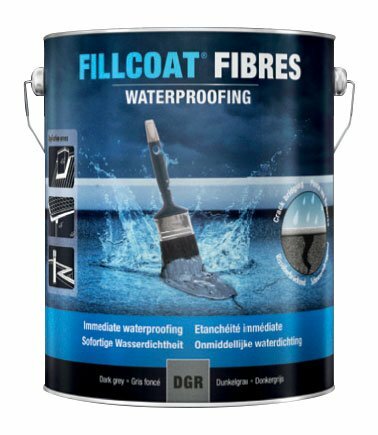 After cleaning, Fillcoat Fibres can be applied directly on bituminous substrates, hard PVC, polyester, zinc, aluminium, glass, tiles, etc. Fibres crosswise over the cracks or fissures. Consumption: 1,5 kg/m² with a hawk or a block brush. Can be applied during all weather conditions, except for snow. Thinner 22 or white spirit. Never apply Fillcoat Fibres to polystyrene insulation or onto new concrete (concrete should beat least 2 year old). Do not apply Fillcoat Fibres as priming coat under Dac Hydro Alu. Remarks regarding safety: Consult Safety Data Sheet and Safety Information printed on the can. 5 years from date of production in unopened cans, if stored in dry, well ventilated areas, not in direct sunlight at temperatures between 5° and 35°C.